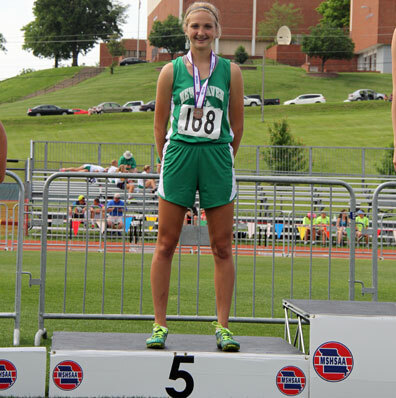 Pictured below - New Haven’s girls 4x800 finals (Taylor Covington, Kayla Borcherding, Lauren Gerlemenn, and Hannah Pruessner) finished 6th with at time of 10:15.49. 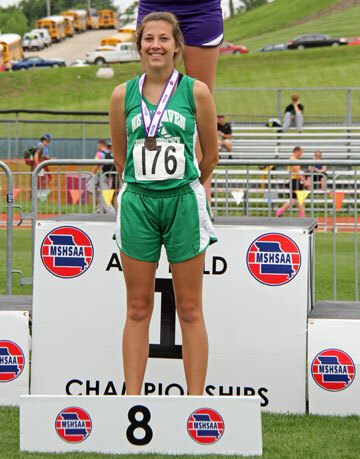 Beth Schenck captured her first individual state medal, finishing 8th in the high jump. 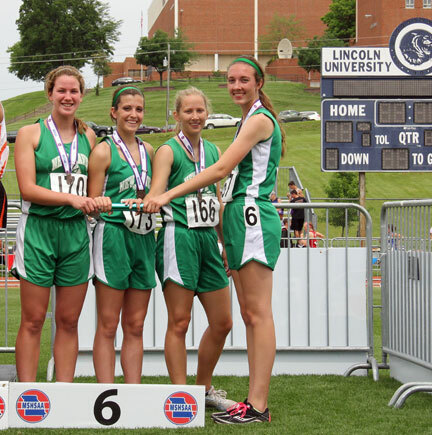 4x100 girls set a new school record with a time of 52.72 on Friday and Saturday finished in 5th Place. Girls 4x200 relay takes 2nd place, .17 second away from taking first.